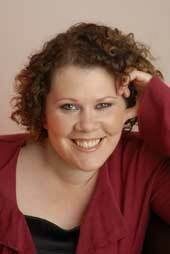 Between 2003 and 2006, Elizabeth Donovan was a Welsh National Opera Associate Artist. She was the first recipient of the Marjorie Gill Award, as well as the WNO Chris Ball Bursary and the WNO Sir John Moores Award. Her roles for the company included Zerlina Don Giovanni, Barbarina Le Nozze di Figaro, First Lady Die Zauberflöte, Echo Ariadne auf Naxos, Berta Il Barbiere di Siviglia and Flowermaiden Parsifal. Her other roles have included Leila Les Pêcheurs de Perles for Chelsea Opera Group, Norina Don Pasquale and Dorabella Così Fan Tutte for Diva Opera, Constanza The Seraglio for English Touring Opera and Clorinda La Cenerentola for Scottish Opera Go Round. She made her debut at the Edinburgh International Festival in 2003 as Oriana Amadigi, her debut at the 2005 BBC Proms as Brigitta Iolanta and her debut at the Welsh Proms in 2006 singing the Mozart Requiem. Other concert highlights have included Britten Spring Symphony and Dvorak Te Deum with the Royal Liverpool Philharmonic Orchestra at the Chester International Festival, Beethoven Folksong Arrangements in Seville and Elijah at the Fishguard International Festival. Her recordings include Brothers in Harmony (Sain CD). Elizabeth Donovan collaborates regularly with pianists Michael Pollock and Rhodri Clarke, and has given recitals at the Aix-en-Provence Festival, broadcast live by Radio France, and at the Fishguard International Festival and National Museum of Wales, broadcast live on BBC Radio 3. Her recent and current engagements include a return to Welsh National Opera as Marzelline Fidelio and Konstanze Die Entführung aus dem Serail and Fiordiligi Così Fan Tutte, Donna Anna Don Giovanni and Ortlinde Die Walküre for Longborough Festival Opera. Elizabeth Donovan was born in Cardiff but raised in Bridgend. She went to Brynteg Comprehensive School and moved to Porthcawl Comprehensive to study A Levels. She then studied at the Royal Northern College of Music and at the National Opera Studio. 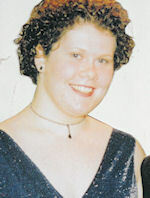 The Winner of the 2002 Young Welsh Singer Competition, she represented Wales at the 2003 Cardiff Singer of the World Competition. Her awards further include a Scholarship from the Elizabeth Evans Trust, prize-winner at the 2006 Concours International de Chant de Toulouse and prize-winner at the 2007 Veronica Dunne International Singing Competition. She was also supported by the Sir Peter Moores Foundation. Quote:- "Good luck to everyone involved in the competition this year. Enjoy the experience, as it's one of many stepping stones that will set you on your musical journey during the course of your career."